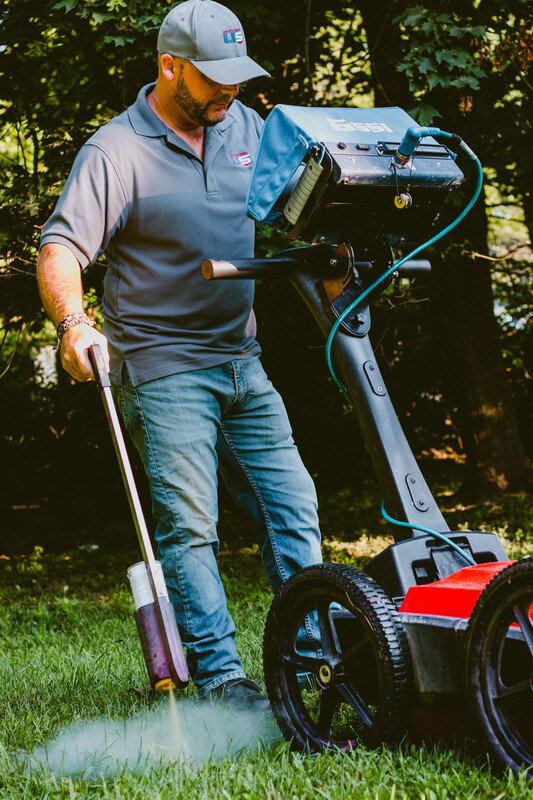 Recently one of our techs did a concrete scanning job using ground penetrating radar (GPR) and he was referred by many people on-site as the “X-Ray guy”. This reminds us that it actually happens very often and we have been asked by many people with questions like: “Are you the X-Ray guy?” or “Are you here doing X-Ray?”. What we do has nothing to do with X-Ray machines, and more often than not, they know we actually don’t do X-Ray but do something similar. It’s just convenient to refer us as X-Ray guys so everyone can quickly grasp the idea of what we do. However, the images of us as X-Ray guys do have side effects. Most of us have had a X-Ray one way or another for medical examinations, and we know it only takesa few minutesand then you’ll see superior high-resolution images. If we are the X-Ray guys, the first impression of us to many people could be that we can see what’s underground with X-Ray vision: we just need to push the GPR in the survey area quickly and everything should be very easy to see. As a result, comments like“it’s probably only going to take you a few minutes (for the survey)”are very common. GPR has limitations and is usually just one of the tools we use for underground utility locating, concrete structure scanning or other surveys. Using all these tools properly takes time. It could take us hours to complete a survey in an area which is considered as “small and probably would only take you 15 minutes”. Actually, if you bring a X-Ray machine to a job site for scanning, it would not be as -transform: initial;">convenient or fast as you experienced during medical examinations either. In addition, referring us as X-Ray guys sometimes can cause concerns of radiation, but generally a quick explanation could eliminate the concern: GPR is an electromagnetic device, and its radiation level is lower than a cell phone. Also, after the survey, people will ask questions like: Is this area clear (of utilities)? They expect the answer would be yes or no. If you answer “I checked the area and did not see any utilities”, some people may not be satisfied with that. They want a yes, which is not necessarily the answer we should provide. 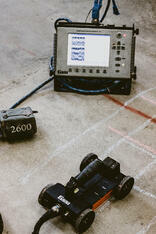 Our technologies including GPR has limitations, so we cannot guarantee that we see everything. There could still be utilities underneath there and we just could not detect it due to equipment or site limitations. Simply answering “yes” could give you a false sense of security. While Utility Survey Corp. offers peace of mind in allowing you to continue with your work, you should still proceed with caution even when we did not find any utilities. Call USC today to learn more!